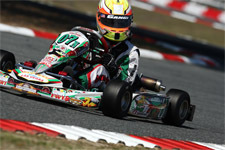 Saturday’s Round 1 action saw Gangi Jr. clock eighth quick overall in the timed qualifying session. 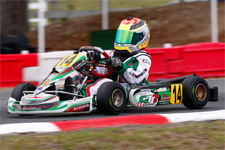 On the move in the first eight-lap heat, the multi-time karting champion crossed the stripe in third. Not as fortunate in heat two, Gangi Jr. endured contact on lap six, finding himself in the barriers and classified last in the field of 23. 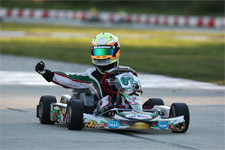 Despite his finish, Gangi Jr. was the fastest kart on the track, and used that to his advantage during the main event. Back in the mix towards the front of the field in the 16-lap final, the Tony Kart pilot moved up to finish just off the podium in fourth. Sunday saw Gangi Jr. in the fast five for qualifying, bettering his position from Saturday to fourth overall in the session. 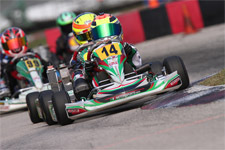 A tight battle for the top spot in heat one ended with the rising talent finishing in third, while heat two saw Gangi Jr. in the lead until the white flag. Playing it smart, the Brookville, New York resident held back to finish second at the checkers. The final would see Gangi Jr. fall back to third early on. 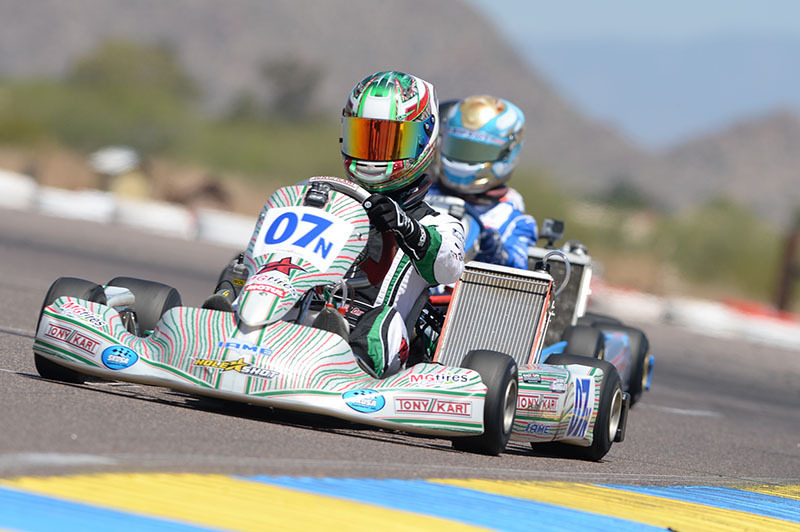 Retaking the second position, Gangi Jr. held station to earn his first podium in SKUSA action for 2015. 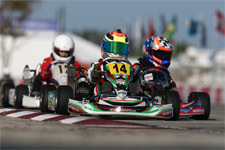 The SKUSA Fikse Pro Tour will resume July 24-26 at the New Castle Motorsports Park in New Castle, Indiana. 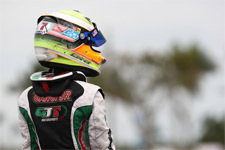 Anthony Gangi Jr. will next be back on track May 24-25 for the second round of the ROK Cup USA series at the Homestead Karting facility in Homestead, Florida. Anthony Gangi Jr. would like to thank tuner/driving coach Mike Doty, Chad Brackens of Race Data Dynamics for all the data support, Daniel and Gary Woltjer of Woltjer Engines for the always-great power, as well as sponsors GT7 Motorsports, Millwork Solutions, Hole Shot Drive Systems, PKT, and Hot Head Engine Preheaters.